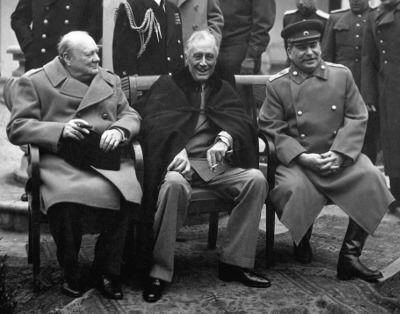 The biggest laugh at Yalta was that no one shared a version of what “win” really meant. When performance reviews were created the goal was to collect and share observed performance feedback that would sustain good performance or the observed feedback needed to improve performance. The performance review would then inform merit increase in salary or bonus based on performance feedback. The goal: a pay increase or bonus based on merit. Transparent for all to see. For all to count on to manage expectation and motivate. To provide an organization cultural tipping point of expected performance. Well, that was the goal or intent before new agendas replaced true diligence; otherwise known as due diligence. True diligence, an effort to back merit with observable and detailed example, has too often turned into an agenda-driven, force fit to prove a political point. Merit-based performance would focus on the employee’s behavior that exemplifies excellence or the employee’s behavior that needs to improve. Policies exists to increase the personal wealth and political power of officials or the ruling class at the expense of the wider population, often without pretense of honest service: “rule by thieves” affectionately translated to Kleptocracy — a personal favorite to witness. What type of employee gets the biggest raises? Who shows up on the high-profile projects and does very little hard work on them? People see these in culture very quickly. All of those should go to those who have shown reliable, merit-based performance. When given to those with little merit, but through the politics of the above then you’ve sabotaged engagement and have little hope to achieve true engagement. Every night at 5pm engagement follows motivation out the door while politics are allowed to exist. In a one-to-one fight cronyism, kleptocracy, and parochialism each trump merit. When cronyism, kleptocracy, and parochialism gang up meritocracy has no chance. An added danger to politics: leaders who play politics usually choose politic clout over technical or functional competence. That is the real cost of culture. How is your organization spending their time around performance review? Finding merit or stuffing the ballot box with politics? I’ve written about no more performance reviews before, why not abandon the whole game and get back to the hard work of delivering to your company strategy and maintaining the bottom line: people’s motivation? In the article dealing with ‘no performance reviews’ you bring up the notion that “When employees select their own work goals, their motivation to achieve them is greater”. This does not seem intuitive at all. Do you agree with that notion, as I can’t imagine how this could practically be implemented? Two main views of employees: 1) lazy and shiftless, looking for any way to do the absolute minimum. Without supervision rarely produce. 2) sense of pride and want to do a good job, look to identify themselves with accomplishment through hard work. MIT’s Douglas McGregor presents Theory X and Theory Y. Above, I present a simplified version. I am right beside you in your take that it does not seem intuitive to allow employees the latitude to create their own goals. But I wonder if we change your word intuitive to practiced we might have a different frame for this. Yes, the majority of managers and leaders and organizations practice Theory X management over their shiftless and lazy workers [note: my words, not McGregor’s], but suspend what we have seen as majority management and take a review of your best work. When you have delivered your best work, what were the conditions and the expectations? Shim, give me an idea of how you might engage a worker or a team member, as a project manager, to select their own goal. How do you envision the conversation? That the minority chose Theory Y or that Theory Y might be an opportunity for improved performance, does it become an option. If I propose Theory Y as a guiding principle not a hard and fast rule is that helpful? I look forward to your thoughts. I am always pleasantly challenged by your attention and always look forward to the view you present. 1. Option 1 – Theory X – i.e employees are lazy, etc. 2. Option 2 – Theory Y – i.e. employees are motivated, etc. 1. Option 1 – the individual employee is lazy, etc. 2. Option 2 – the individual employee is motivated, etc. I have generally a broad issue with generalisations. Ascribing to ALL managers a attribute, whether it is X or a Y, is wrong. Some managers will be X managers while others will be Y managers. More correctly we can go further and say that the majority of managers will be somewhere along a spectrum that has X at one end of it and Y on the other end. Similarly, employees cannot be grouped into X or Y either. Some will be lazy, some will be motivated, and the majority will be somewhere along an axis where they will be having varying degrees of both laziness and motivation. Which takes me to your question. An employee’s goal is only relevant in the context of a group, team, department of project’s objective. So, in the context, or frame of mind, where the employee is given a free run to determine their own goals, the caveat should be that this goal should be directly contributing to the group’s overall goal, otherwise it is wasteful and unproductive. You present a tough nut to crack (this is a compliment as it adds to my thinking). Where you have a general issue with generalizations, I think our attempt to use generalizations is an attempt to bring a framework to thinking. More the generality and the principle to get people to start a conversation or view. I like the saying, “people use frameworks to makes sense of the universe”. I certainly do not use a framework or generality as law, but think of it as a starting point or more a principle to dialogue. As our goal, in project management or otherwise, is to create a framework of consistency and be understood, we sometimes start with generality or a framework, see where the conversation goes and modify, as needed. Very similar to our project management methodology or life cycle in that we do not roll out every template, all the time, but we read and react to the state and the situation. Alternatively, saying ‘red’ might give some a vision of a Corvette, others an apple, others a stop sign. We convey details to frame a better boundary. We may not use a framework at all, but may need to rely on a story or analogy to create a mental picture. Some managers look at employees as lazy, as a default view in the majority of their interactions. Some managers look at employees as self-motivated. A law, no way, a principle, perhaps, or a framework to look for patterns. Normal distribution, not absolute. So, the goal, if it does not contribute to the group goal it detracts, agreed. If the professional heard ‘goal’ and thought of a Corvette and you were thinking apple, you adjust or take ownership, apologize for poor communication, then ask them to adjust accordingly and return with their next example. If only one person on the team misunderstood your expectation that a goal should enable and link to the team, department, or enterprise you have a perfect coach-able moment (Theory Y?) for you and the person. You might also see this person as below the mean and part of their need is to progress up to the mean understanding of the team. The only law I am sure of is gravity. Funny enough it is a law that no can see and a law that is only revealed in its effect on people and things. Hi Toby, I’m not going to make it easy for you mate :). I think what your idea requires is a tangible example of how it would work in a real life situation. Think you can build up a credible and realistic scenario? It is always good to engage with you Shim, your quantmleap blog is the alpha and beta for project management thought, commiseration, and the way things could be. What I enjoy most when I connect with you is that I have no free pass and I better pull out rhetoric from the mix. While I always enjoy that, one thing stands in the way … my day job, well that, and, my family, from getting the body of observable and statistically valid and reliable facts to go further, all the time. So, to allow for a justified observation or recollection, I punt to scholarly articles on McGregor’s Theory X and Theory Y.
I did not want to leave your intellectual curiosity hanging while I draft, edit, and plot a deeper reply. Your insights and fuel are always welcomed.